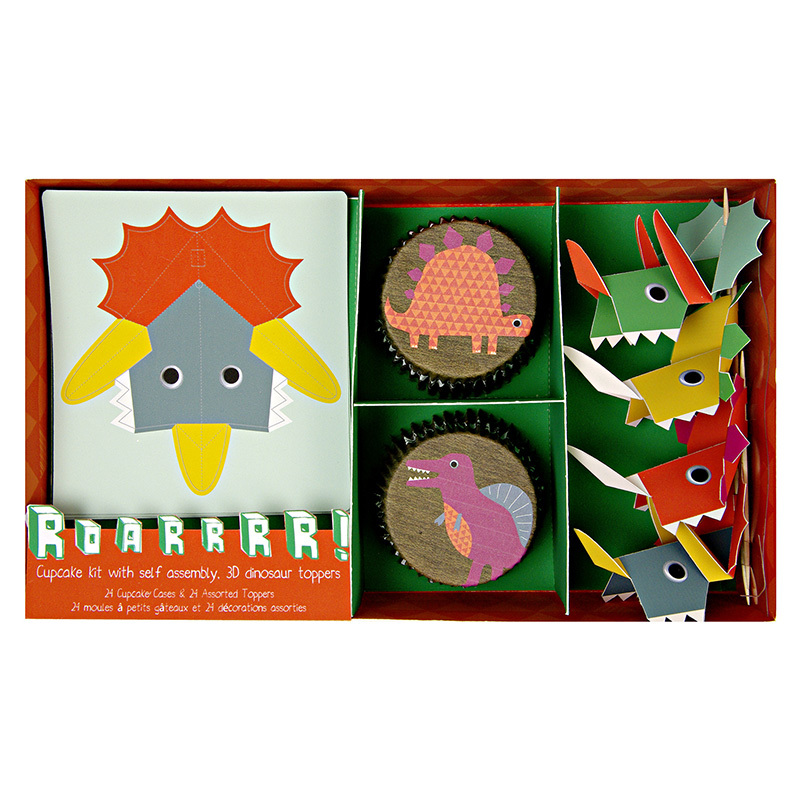 Add some fun to the party with the Meri Meri Dinosaur Cupcake Decorating Set! The dinosaurs are roaring must be time for a jurassic party! 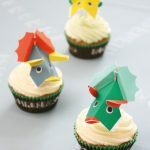 This cupcake kit features a delightful set of pop-out and assemble cupcake toppers in 4 designs, each a different dinosaur, together with 2 styles of cupcake case. 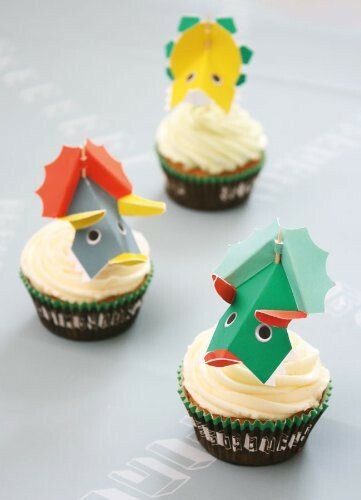 It will make decorating your cupcakes as easy as 1,2,3!